Take Your Modified Application Installer And Shove It! 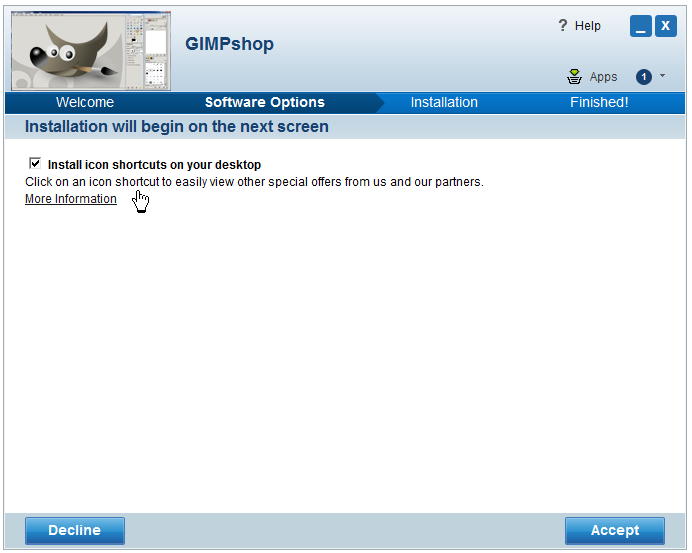 Modified application installers – a good thing that allows a user to select a bevy of additional software (browser toolbars, homepage alterations ……..) or, just one more example of enterprise feeding the greed machine? A nasty comment? Too strong a sentiment, perhaps? 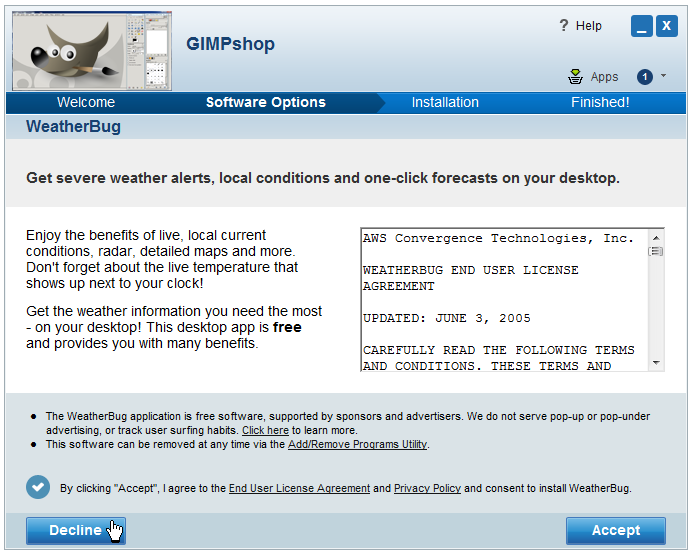 More to the point – do I even have the right to question how a free application is packaged? Probably not – but, I can let my fingers do the talking by walkin’ – away, that is. That being the case – it seems counterproductive to annoy me (and, other users), by insisting that I play a silly game of “uncheck the boxes”, in order to install an application. A moments inattention and, in nothing flat – the user is faced with a “gotcha”. I’ve covered this issue previously in – We Don’t Want No Stinkin’ Toolbar! so, I won’t bludgeon the question to death (well, maybe just a little), except to offer this from the previous article. So here’s a question for “ethical” freeware providers. How many toolbars do you think an average user needs? Ten? Twenty? Thirty………….. ? I can already hear your answer “ but the user can uncheck the appropriate boxes when installing the application”. Sure! Unless you’re detached from the real world, you’re more than aware that a typical user does not uncheck this box. Then, over time, the user is at a loss to explain why their machine has slowed to a crawl. Could it be because your toolbar, along with twenty others, become active at startup – ya think!! Of all the reader comments on this article – not one was supportive of developers, or download sites, that behave in this manner. Which brings me to CNET’s download.com – until recently my preferred site to direct readers to, following an application review. But, no longer. Neither readers here, nor I, need to turn on our “scam radar” when downloading/installing, what is ostensible a freeware application. Especially since, any number of superb download sites like MajorGeeks, FileHippo, PC World – just to name a few – offer the same service without the game playing. The following is just one example of the “new” CNET download structure. Their little game of – Let’s fuel the insatiable need for greed. I should point out; this new structure has raised the ire of more than a few developers who have been outraged by CNETs modification of their install package – without permission. 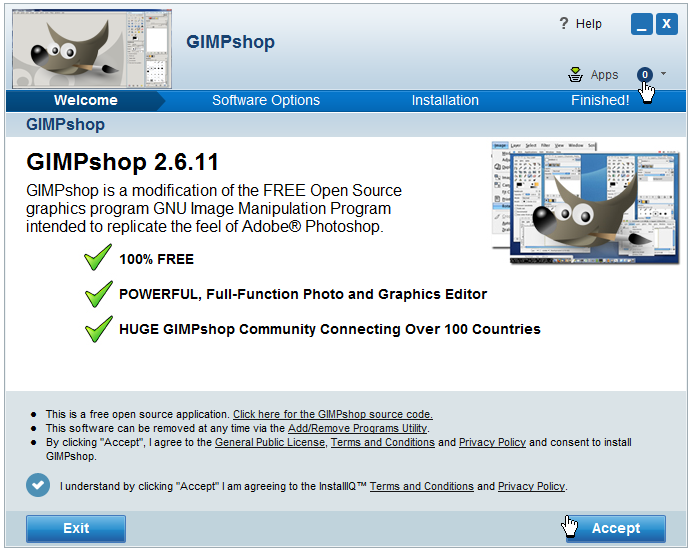 As bad as this is – at least in my view – that’s mild compared to the experience I had yesterday while installing the open source application GimpShop, a modified version of the popular open source application – GIMP – GNU Image Manipulation Program. 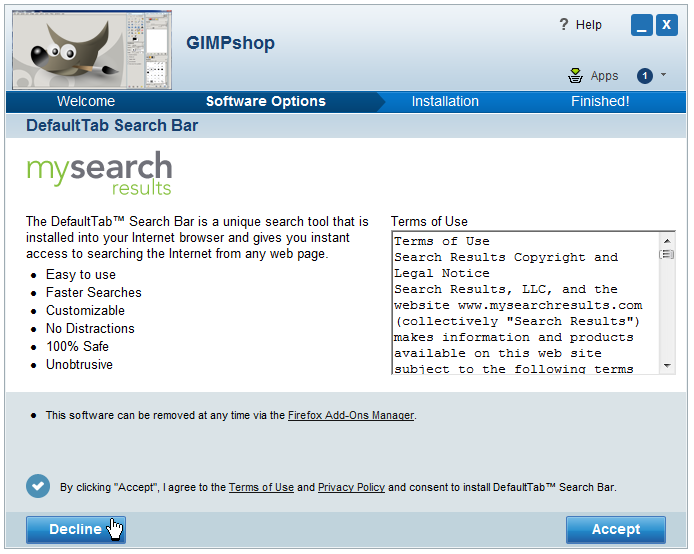 There’s no suggestion here that GimpShop.com attempts, in any way, to mislead potential users. 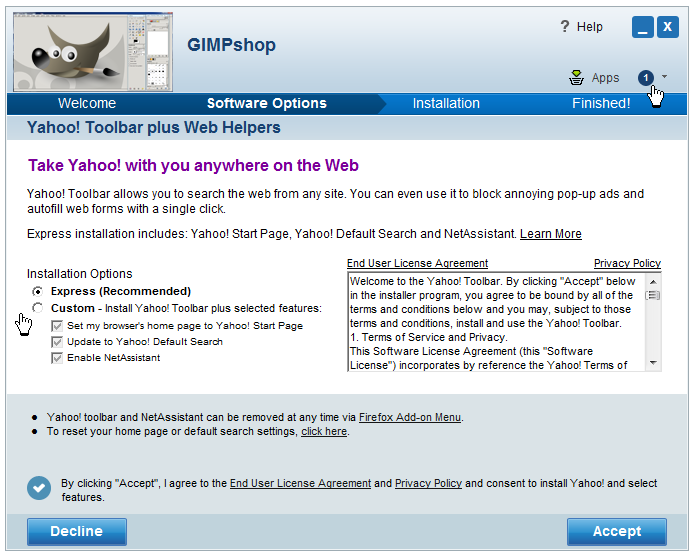 In fact, they’re upfront about their modified installer. Provided, that is, the potential user reads the “fine print” on the site. Follow along with the modified install process and then, you decide if this process is over the edge – or, if it fits within your comfort zone. Round five – let’s dig a little deeper. 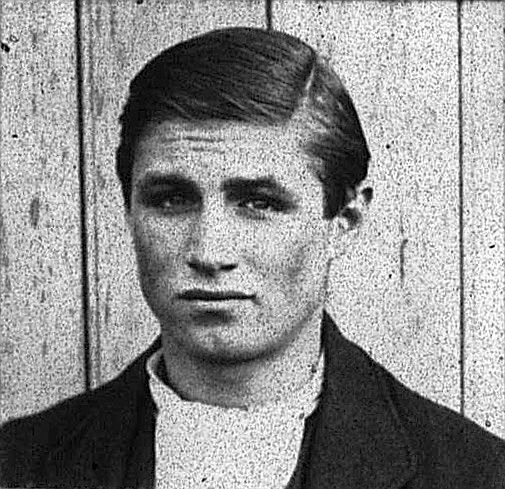 Despite all this – I did, in fact, complete the installation so that I could test the applications capabilities in handling the following photo of my Grandfather’s 1919 enlistment in the British Army – which was dug up by my nephew Brian Mullins, in the British National Achieves. The application failed to meet my expectations. 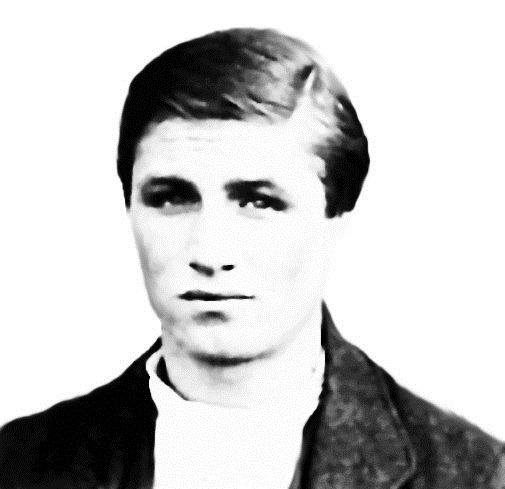 Untouched original photo – possible the most artifact laden photo I’ve ever worked on. This was a pretty round about way to link back to my nephew’s Philadelphia based technology company, I’ll admit. But hey, he’s family. My favorite download site, by a substantial margin, is CNET’s Download.com. I trust the programs I download from this site to be free from adware, spyware, and the multitude of other malware that floats freely on the Internet. Since CNET adheres to a strict policy of offering untainted downloads, regular readers of Tech Thoughts know, that when I review an application, if the program is available for download at Download.com, I direct interested readers there. If you’ve ever wondered what applications make it to the top of CNET’s vast repository of software, then take a look at the top 20 downloads for the week ending July 2, 2011, listed in terms of popularity. Keep in mind that an application’s popularity is not always indicative of its strength, but I’ve tested the majority of these programs, at one time or another, and found many to be every bit as good as advertised. MajorGeeks is here to help you get the most out of your computer mainly by offering tools to the beginner or advanced user (hopefully you someday). Try not to be overwhelmed, just take it one step at a time. Your hosts (Jim and Tim) are both self taught, as are many of our visitors. SourceForge.net is the biggest and best place to download and develop free open source software. 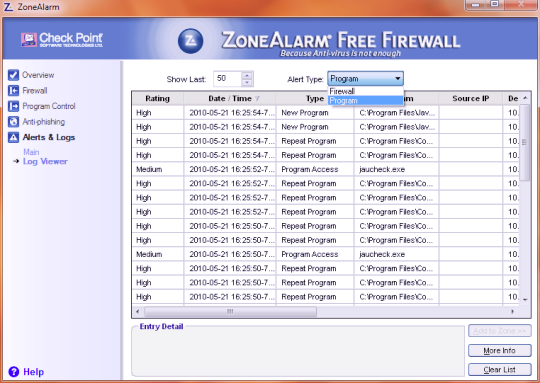 Freeware, shareware, and trialware files for your PC. 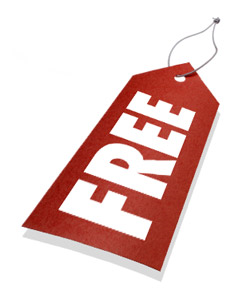 Freeware, demo and shareware programs to download in several categories. Also features latest updates and most popular downloads. I’m always on the hunt for safe, clean download sites so, if you’ve got a favorite site I’d be happy to hear about it. BitDefender is currently warning, on its Malware City site, of a fake Stuxnet removal tool which, once downloaded and installed, will wipe out the contents of the victim’s Hard Drive. As we’ve pointed out here many times in the past – if it’s in the news, you can be sure cyber criminals are exploiting it to their advantage. So we shouldn’t be too surprised, that cyber criminals have been very successful in hijacking searches related to the Stuxnet worm. Unfortunately, following hijacked links is the common behavior of a large percentage of unaware, undereducated, and less security conscious computer users. Is it any wonder the cyber criminals are winning the game? At the risk of sounding insensitive it’s fair to say, that users who get victimized by the type of scheme described above, end up that way because they behave like victims. 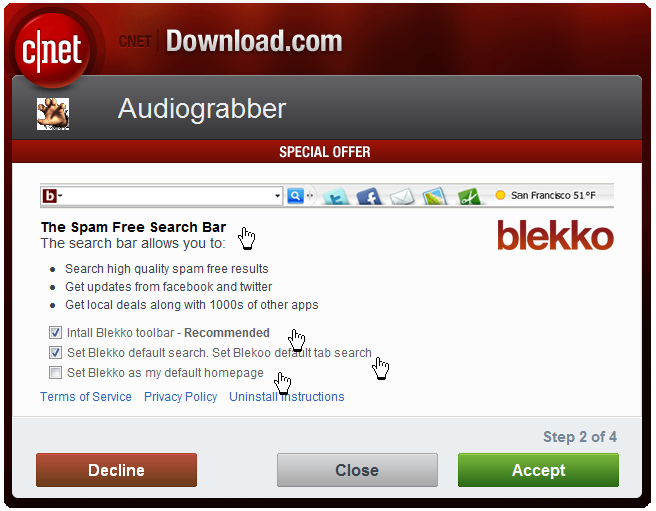 It’s beyond dispute that download sites are not all equal and as a result, downloading can be extremely risky, especially for unaware users. It’s frustrating to realize that so many users lack this basic knowledge. Download ONLY from well established sites, or sites that are known to you. Preferably, download from the developer’s official site. Regardless of origin, scan all downloads with 2 or more, security applications. 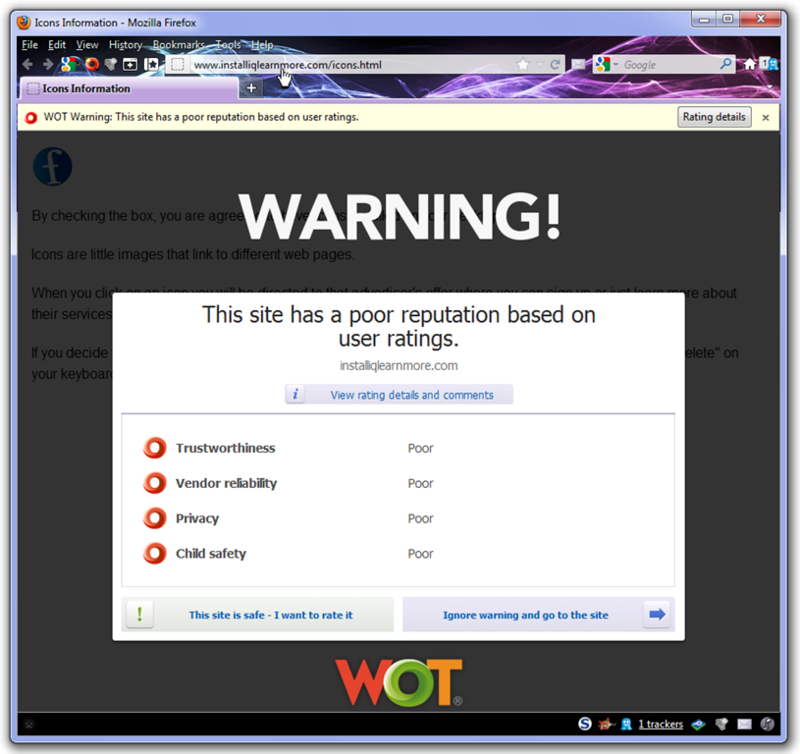 Install a Browser security add-on such as WOT, which investigates web sites for spyware, spam, viruses, browser exploits, phishing, and online scams. Since “trusted” websites, are not always to be trusted, consider installing an additional layer of security by substituting your ISP provided DNS service, with a more secure alternative such as ClearCloud. 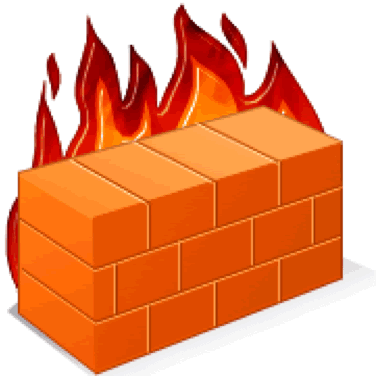 Despite the best precautions, it is still possible to become infected – so, make regular backups of critical data. If you become infected this may be your only solution. Finally, don’t store critical data on the system partition. 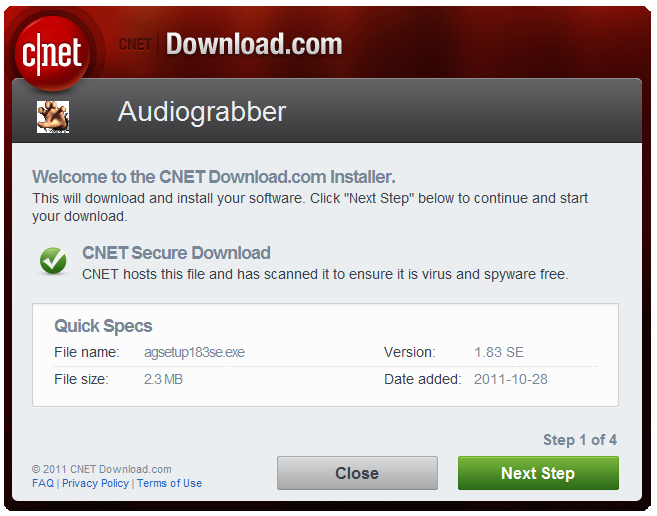 Regular readers will know, that virtually all downloads recommended here, are hosted on CNET’s (download.com), site. There is good reason for this – CNET scrupulously audits hosted downloads, to ensure they are not contaminated by malware. 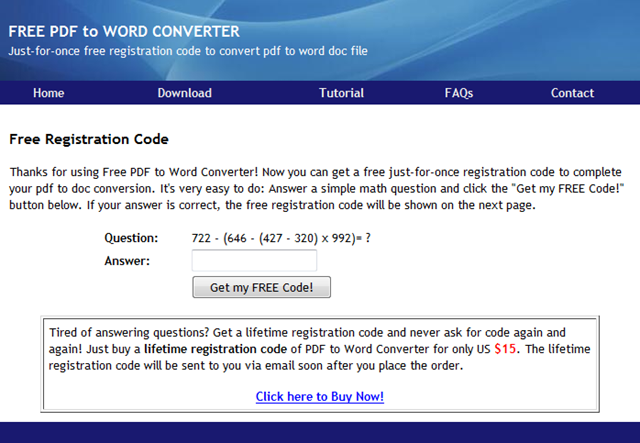 Free PDF to Word Converter Is A Scam! When is free, not free? How about if you have to answer this question: 881 – (221 – (329 – 146) x 559)= ? or this question (274 – 332) – (34 x 504 – 813) = ? or……………. every time (after the fifth time, or so), you want to use the “free” application? But keep reading – all is not as it seems. Normally, (but not always), when I recommend a piece of software I’ve tested it for a minimum of thirty days – banging it, slamming it, twisting it and turning it; all in an attempt to break it. Some time ago, I downloaded Free PDF to Word Doc Converter (through Download.com), for testing. Since many developers choose to list their products features in this format, a PDF converter is the type of application that gets a workout around here. The application I normally use for PDF conversion is, Nuance’s PDF Converter Professional 7. Average users however, are not likely to spent the hundred bucks for this application. So, by the time I got around to using Free PDF to Word Doc Converter, for the fifth time, or so, the following screen appeared when I pushed the “convert” button. My first response was annoyance. But, since this was part of testing the application, I went along with it. After getting the FREE code and entering it in the appropriate box, the following warning appeared. My first thought was – I made a mistake in the math. But that couldn’t be right since I actually got the code, and not an “incorrect answer” response. As well, while many people do crossword puzzles to keep their mind sharp, I work algebraic solutions every day, for the same purpose. I don’t normally make mistakes in basic math. But…. To be fair to the developer, I repeated this frustration process ten times. It turns out, the developer is an outright liar. This process is a scam – there is no way (despite inserting the correct code), to actually get free registration. By this time I was pretty annoyed, so I dug into this app, and the developer, a little further. Additional investigation of the developer’s site showed that Norton DNS has now blocked this site, and with good reason. 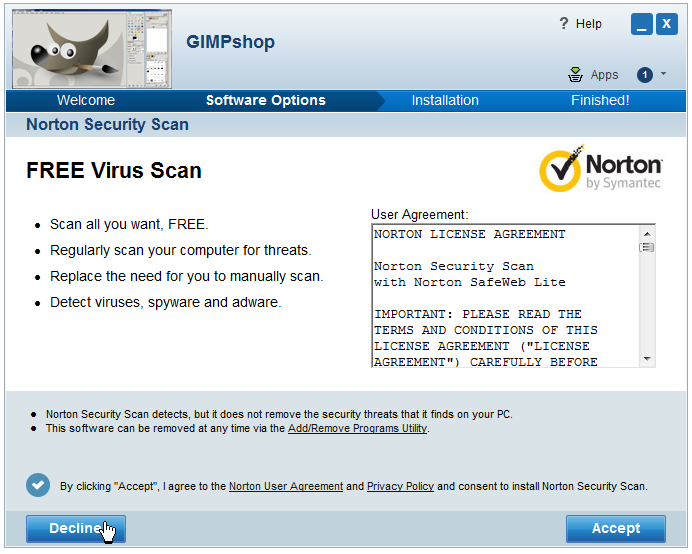 According to Norton – W32.Spybot.Worm, is imbedded in the site. So, not only is the developer a liar, he’s a cyber criminal hosting a malware site. Despite this, Download.com continues to host this application. Albeit, on their own servers. I’m very disappointed that CNET would even consider hosting this piece of crap. Shame on you CNET – you’re supposed to be better than this! If you need a free PDF reader/convertor that actually works, then checkout Nuance PDF Reader (registration required). 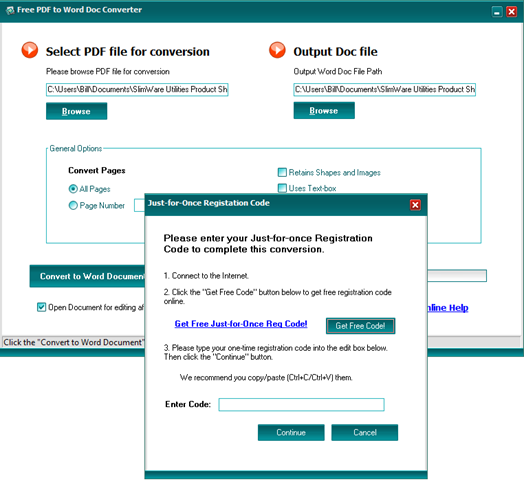 The PDF conversion function, is a cloud based service. Since CNET adheres to a strict policy of offering untainted downloads, regular readers of Tech Thoughts are aware, that when I review an application, if the program is available for download at Download.com, I direct interested readers there. If you’ve ever wondered what applications make it to the top of CNET’s vast repository of software, then take a look at the top 15 downloads for the week ending March 6, 2010, listed in terms of popularity. AVG Anti-Virus Free Edition – Protect your computer from viruses and malicious programs. 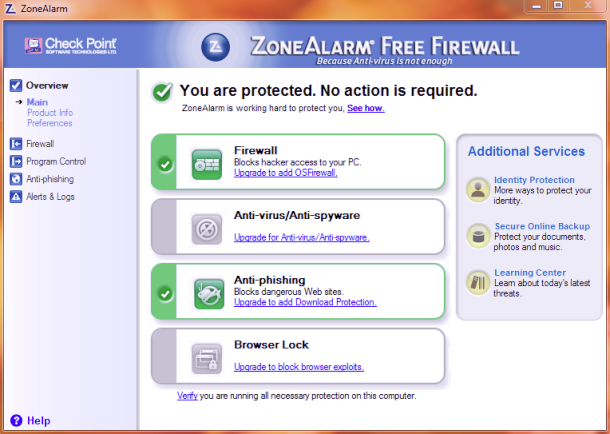 Avast Free Antivirus – Protect your PC against the latest viruses and spyware. 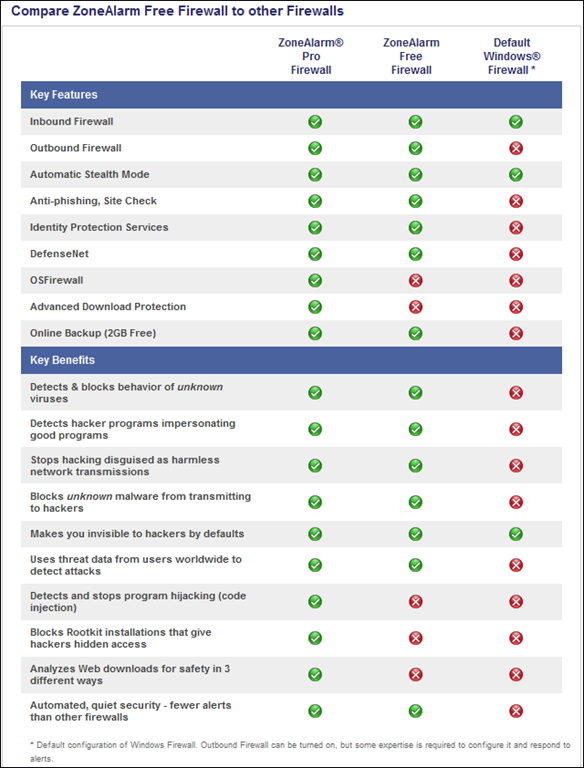 Advanced SystemCare Free – Protect, repair, optimize, and clean your computer in one click. 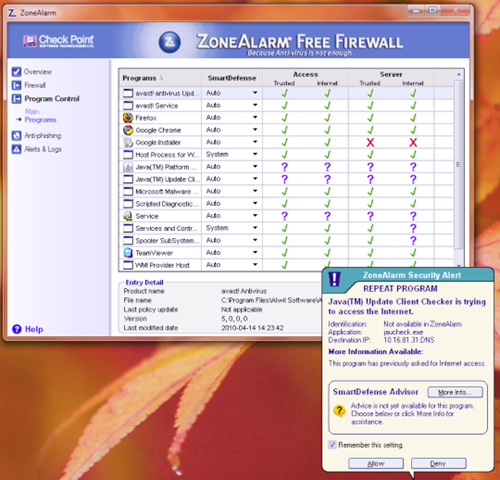 Ad-Aware Free Anti-Malware – Protect your personal home computer from malware attacks. Avira AntiVir Personal – Free Antivirus – Detect and eliminate viruses, get free protection for home users. 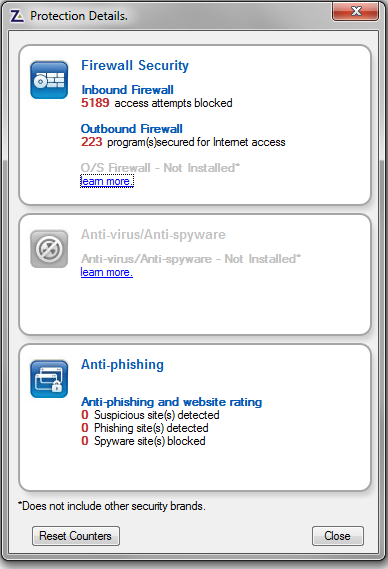 Malwarebytes Anti-Malware – Detect and quickly remove malicious threats to your computer. YouTube Downloader – Download YouTube videos and convert them to various formats. WinRAR (32-bit) – Take full control over RAR and ZIP archives, along with unpacking a dozen other archive formats. LimeWire – Share files online. FreeZ Online TV – Receive over 500 free online channels of daily and live broadcasts from around the world. 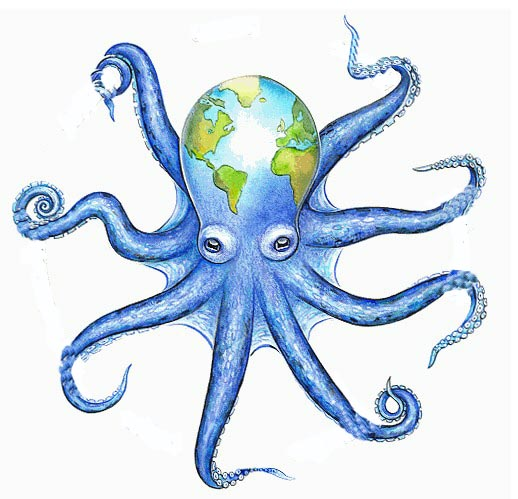 Orbit Downloader – Download videos and music in one click. TeamViewer – Share your desktop with another person via the Web. Camfrog Video Chat – Join live-video chat rooms from around the world. Foxit Reader – View, print, and convert your PDF files. Glary Utilities – Fix, speed up, maintain, and protect your PC. As I’ve said here in the past, an application’s popularity is not always indicative of its strength, but I’ve tested the majority of these programs, at one time or another, and found them to be every bit as good as advertised. They belong on this list.